Lenox Hill Hospital School of Nursing, R.N. PATRICIA E. PERMAKOFF is a registered nurse and maintains her nursing license in New York State. 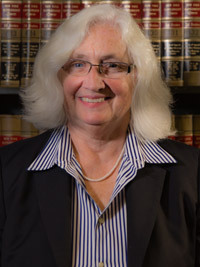 She has been associated with MDAF since graduating from law school in 1979 and became a partner in 2000. She is currently the firm's medical malpractice trial coordinator. Ms. Permakoff specializes in the pre-trial litigation phases of medical malpractice, medical products liability, nursing home liability and prescription drug liability cases. She is the lead attorney in preparing witnesses for pre-trial depositions and trial testimony, as well as record analysis. Ms. Permakoff has lectured on litigation and risk management in nursing schools, hospitals and insurance companies. She has represented nurses at Professional Misconduct and Disciplinary Hearings in New York.